Possibly the best kept secret in the audiobook listening world right now is TuneIn Radio’s unlimited audiobook service. Of course, it’s only available to TuneIn Premium subscribers, but at $7.99 per month, it’s more than worth it! I stumbled upon TuneIn’s delectable audiobook selection a couple of months ago and instantly fell in love. 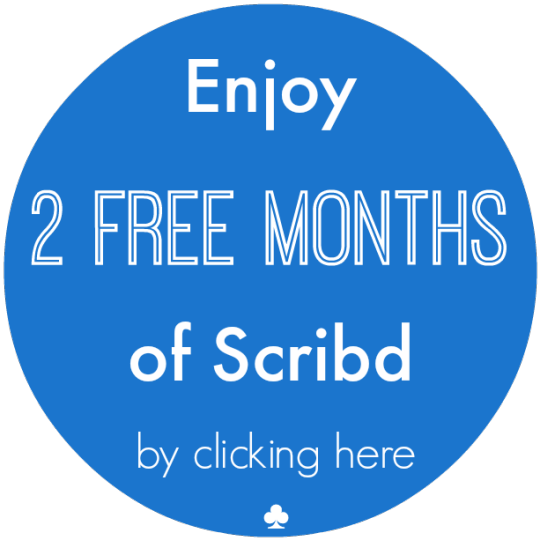 After all, Scribd once had an unlimited service and so did Audiobooks.com, before being forced to convert to a credit-based system like Audible‘s. But after two months of sheer bliss, I can tell you that TuneIn is the real deal and it is by far the best deal you’re bound to get on audiobooks for a while. But if I learned anything from Scribd and Audiobooks.com, it’s to enjoy it while it lasts, because it probably won’t last long. TuneIn may be in a slightly different boat than Scribd and Audiobooks.com were, however. TuneIn was operating long before they introduced an audiobook selection in August 2015. TuneIn’s audiobook service is merely one out of several profitable features offered by TuneIn Radio. Through TuneIn, you can hear podcasts, news shows, music playlists, sports programs, language lessons, and audiobooks all for $7.99 per month. Even if you never use any of the other features, $7.99 for unlimited audiobooks is an out of this world deal. But hold on— If you think $7.99/month is an unbelievable price, you’d better sit down for this one. Here’s a first-hand tip from The Audiobookworm: Subscribe to TuneIn Premium from the mobile app, not the website. TuneIn’s website advertises their premium service as a monthly subscription of $7.99. That comes to $95.88 a year, plus a one week free trial. However, if you download the TuneIn app on your mobile device and then subscribe to premium, you’ll get an offer for a 30-day free trial and a $69.99 annual subscription plan! Please, please. Hold your applause until the end of the post. Note: This worked for me using an iPhone. I’m assuming the experience would be the same for Android users. If it’s not, let me know. Still think it’s too good to be true? There has to be a catch, right? If there is, it has nothing to do with the selection. After scanning the audiobook selection for the first time, I almost had to pick myself up from the floor. At 40,000 audiobooks, the selection may not be as large as that of some other services, but the quality is astounding. TuneIn has titles from major publishing houses like HarperCollins and Penguin Random House. I’m still working my way through them all. • The Price: As a frugal listener, this is naturally the first thing on my list. $7.99/month is an unbeatable price, unless you subscribe through the app. In that case, it’s totally beatable. • The Unlimited-ness: I haven’t seen an unlimited audiobook service since September 2014 (when Scribd canceled theirs) and it has been one heck of a dry spell! No credits, no waiting, no extra fees, just all-you-can-hear audiobooks. What’s that? Do you hear angels singing? • The selection quality: TuneIn’s title selection is phe-nom-enal, especially for the price. I was particularly pleased with their selection of YA titles. I don’t think you can view the selection until signing up, so this is the point where you decide whether or not to trust me (and use the free trial). • The additional features: You’re guaranteed to get more than your money’s worth with all that being a premium TuneIn subscriber offers. • The website: Using the TuneIn website has been a cumbersome experience for me, to say the least. Many of TuneIn’s navigational features are uncooperative when using the website. It seems that the TuneIn service is primarily geared towards mobile app use. • The app: Although I much prefer using the mobile app instead of the website, some fine tuning is needed, especially for audiobook listening. The mobile app is peppered with minor annoyances such as not displaying the total runtime of an audiobook, not having a manual bookmarking feature, occasional crashes, and a few other small things. • Streaming only: This makes sense, given the originally intended nature of TuneIn Radio, but it may be a deal breaker to some. Luckily, I do most of my listening via WiFi. But on-the-go listeners will have to keep a close eye on their data usage. The things I love about TuneIn’s premium service FAR outweigh the things I don’t. If you have plenty of access to WiFi or unlimited cellular data, you’d be silly not to give this a try!